Aitutaki, home to approximately 1800 people and the world’s most beautiful lagoon, is just a 45-minute flight from Rarotonga but is yet another world. Aitutaki is the ideal place to get away from the hustle and bustle of the modern world but there are also some gentle activities one can pursue, scuba diving, snorkelling, lagoon cruises, walkabouts or a visit to the church to name a few. Legend has it that the Island was first discovered by the Polynesian voyager Ru. It seems certain this great Polynesian navigator and his entourage were the first settlers of Aitutaki a thousand years ago. Disenchanted with the leadership of his home island, thought to be Tubuai in the Society Islands, Ru with his party of young men and their consorts navigated the large twin hulled vaka Ngapuariki, through days and nights of Pacific storms in search of a new homeland. 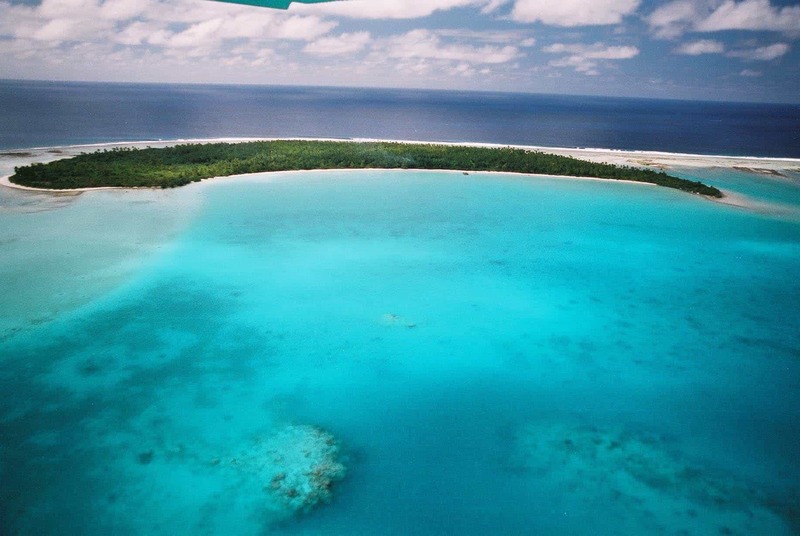 Centuries later and under the command of Captain William Bligh, Aitutaki was sighted from the HMS Bounty on the 11th of April 1789, just a few days before the infamous crew mutiny led by Fletcher Christian. During World War Two several thousand American servicemen descended on Aitutaki changing the landscape with the construction of a coral runway to provide an easterly route between Australia and Hawaii to avoid the advance of Japanese Forces. An American war correspondent wrote of Aitutaki at the time . . . The 1950s and 60s saw Aitutaki as a stopover for TEAL Solent flying boats on the romantic ‘Coral Route’ en-route to and from Tahiti. Travel on the Coral Route was expensive during a period when most international passengers still went by sea, and many of the worlds rich and famous stepped off onto the sands of Akaiami while the giant aircraft re-fuelled en-route between Samoa and Tahiti. Today, Aitutaki has the modern conveniences of our era. However the stunning lagoon and availability of arable land means that every child still learns to plant and fish. Famed as the entertainers of the Cook Islands, Aitutakians still present spectacular Polynesian dances, drumming and song as they have done for centuries. If your plans have you firmly anchored on the island of Rarotonga you will be pleased to know that our Vaka Cruise is part of the all inclusive Aitutaki Day Tour operated by Air Rarotonga. Included in the package price are pickup and drop off from and to your accommodation on Rarotonga, return Airfares (infants FREE), Aitutaki Island tour on ‘Le Truck’ and the Vaka Cruise including barbecue lunch. To book your flights to Aitutaki visit Air Rarotonga or if you are interested in a package deal contact the Airline using their contact form.